Italy has become Europe’s fastest-growing hotbed of populism after voters this month turned to Lega and Five Star Movement in massive numbers. The election — set against a backdrop of Italy’s stuttering economy and migration crisis — saw populists pick up 50% of the vote share. 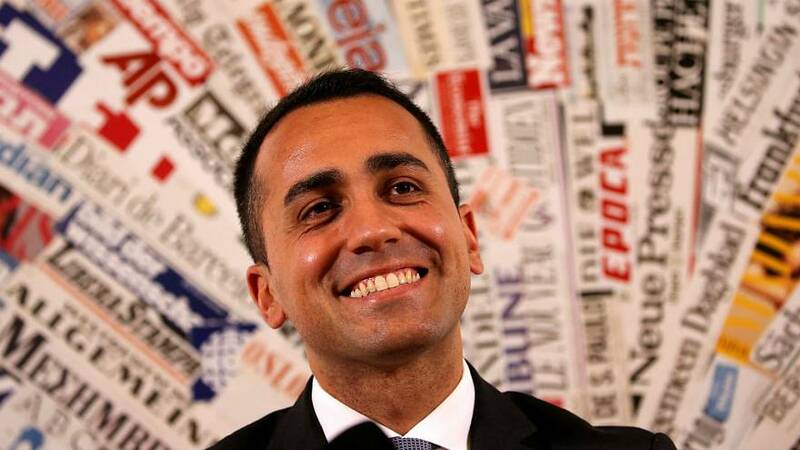 Italy is at the forefront of an EU-wide trend that has seen a huge swing to anti-establishment parties, closely followed by Greece and the Czech Republic. Only five of the bloc’s 27 countries — experts have excluded Malta — have seen populism fade over the last decade and one of them, the United Kingdom, has arguably had its ‘anti-elite’ sentiment tamed by the Brexit referendum. The main surges have been in southern and central Europe. But the trend has also hit major European states Germany, France and Spain, as well as Scandinavian countries, most notably Finland and Sweden. But Hungary, which goes to the polls next month, is the EU’s populist powerhouse with a 65% vote share for anti-establishment parties. Despite the anti-establishment surge across the EU, populists only govern alone in Poland and Hungary. Italy could soon follow suit. Most of those in power are in a coalition with other like-minded parties, such as in Austria and Bulgaria. Populists seek to appeal to ordinary people who feel their concerns have been ignored by the "establishment" and their parties are often dominated by a charismatic leader. There are two broad strands, says Ruth Wodak, an expert on populism from Lancaster University. There is right-wing populism, which is prevalent in north and central Europe and attacks the ‘elites’ on nationalist or very conservative issues, and its left-wing cousin, seen more in the south, which focuses on capitalism and globalisation when criticising the so-called establishment. How did Europe plump for populism? Wodak said the populist wave in Europe began with the 9/11 attacks: the subsequent security crackdown legitimised cutting back on human rights and helped far-right parties tough on issues like law and order. Then, she added, the financial crisis hit, fuelling populism in southern Europe amid fears over poverty and unemployment. It saw the emergence in Greece, for example, of populists from both extremes of the political spectrum: Syriza (left) and Golden Dawn (right). “At the same time there was a rise in western and central Europe: Austria, Switzerland and Scandinavian countries,” Wodak said. “Not because they were so struck by the crisis but out of fear they could be struck. So to protect your country, to protect your benefits, to protect your welfare you don’t want migrants and refugees. “Then you have the eastern countries where the refugee movements really triggered enormously the rise of right-wing populist and extreme parties and that’s basically Hungary and Poland where such parties have the majority in governing coalitions. “They basically legitimised their various policies which now challenge and endanger democracy: freedom of media, freedom of opinion and freedom of the courts, by pointing to Islam and the refugees. Will populism become the new normal? Much will depend on how mainstream parties react to having their power diluted, said Philippe Marliere, an expert in European politics from University College London. He said the continent was in a political crisis after the end of a long political cycle that has seen conservative and social democrat parties dominate since World War II. “Mainstream parties have become so unpopular because their policies are being rejected by the people and that’s created a vacuum in which those populist parties can step in,” he told Euronews. What will be the implication of Europe’s populist switch? Wodak, the author of a book on populism, said Europe’s swing towards anti-establishment parties has normalised right-wing policies. “Immigration policies have become stricter, even in countries where there are no refugees or migrants,” she said. She said outspoken populist leaders — like US President Donald Trump — had also normalised offensive rhetoric. More populism could also have implications for the future of the EU. Experts say there will be more tension between Brussels and the likes of Hungary and Poland unless the EU changes and listens to the message populist voters have being trying to send over the last decade. “There are a lot of forces out there in Europe who don’t like being part of something called the EU,” said Professor Marliere. “The reaction you’d expect from anyone who wants the EU to survive and relaunch itself and to get better is really to take notice of all those problems and challenges coming from left and right and listen to the electorate. How did Euronews decide what was a populist party? We used a classification developed by the University of Melbourne. It ranked parties on the extent to which they: opposed the political class, financial institutions, immigrants or ethnic minorities; depended on the personality of a leader; and violated liberal democratic norms.